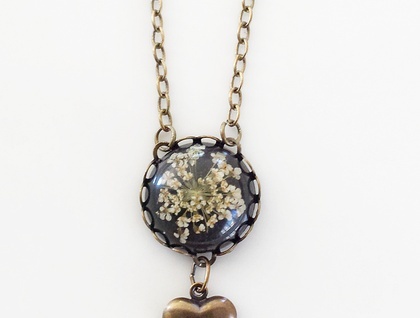 This gorgeous dried flower spray has been captured forever in a lovely clear resin dome with a black backing. 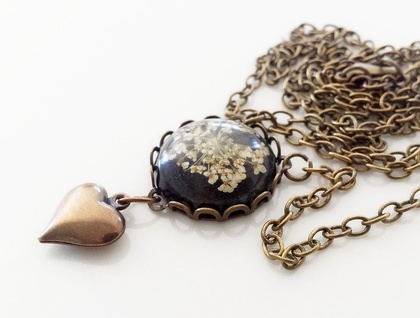 I have set it into a funky wee 18mm wide lace edged antiqued brass setting with a puffed heart dangle. Strung on approx 60cm of matching lead & nickel free chain. 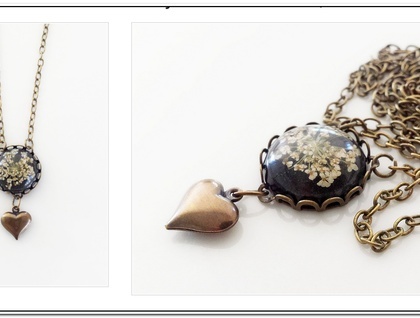 I love the black and brass together, it picks up the natural tones of the flower. A classic wee feminine piece.